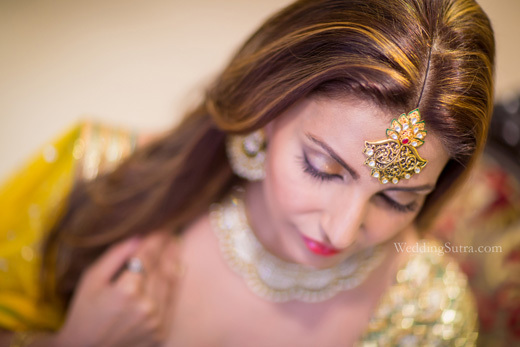 Dewy make up and vibrant colours created a look for the television heartthrob that was perfect for this glamorous bride to be. 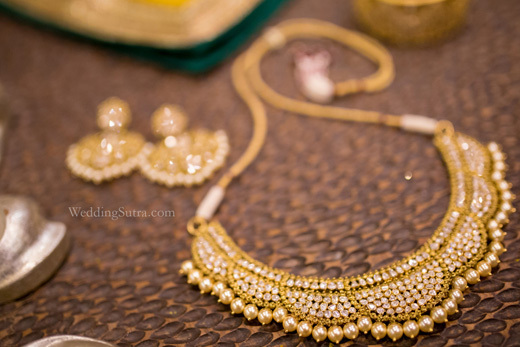 Paired with a jewel toned lehenga, the Azva Diamond Polki necklace, replete with a scalloped trim of pearls, sat pretty, giving us major bridal goals. 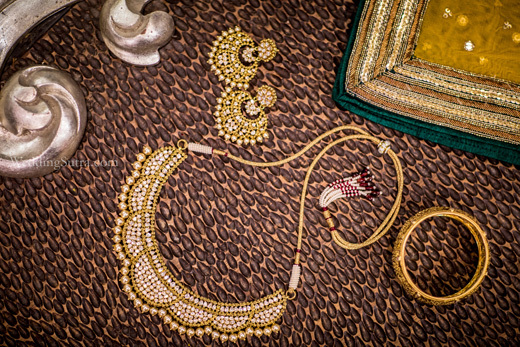 Finished with brilliant polki earrings and a skilfully handcrafted maangtika, the bridal transformation was all about making heads turn, and so it did. An Azva floral ring perched daintily on her finger as tousled curls and a piercing gaze took her bridal avatar to the next level.